I’ve wanted to visit Sicily for as long as I can remember. Partly because of the story my mum loves to recount, from when she spent her early twenties living there (in Catania, specifically), working as an au pair for a family that was, unbeknownst to her at the time, very much central to the Sicilian mafia. She wasn’t made aware until one morning, after my mum had fed the children breakfast, the family matriarch ominously advised quietly in her ear to ‘get out’, while she still could. And that time when my mum had an actual real life gun fired at her through the back window of a car she was in, due to mistaken identity. Again, mafia related. It missed her, thankfully. But I’m sure it was all mega lolz at the time. Couple all of the above with the fact I also love The Godfather, and you have yourself a bonafide Sicily fan. South Italian stereotypes and lores from the 70s aside, Sicily probably isn’t quite like any of that anymore. But what it has undoubtedly retained is its majestic beauty, and the friendliness of its people. Not to mention, there’s something deliciously dangerous about living in the shadow of a tremendous volcano (the most active in Europe), that could blow its top and rain down all iterations of hell at any given moment. I even went hiking across an active volcanic range in Iceland once, whilst it was on red alert. That was fun. So when the fine folk from HomeAway got in touch one day, with one of those emails that makes you air punch so hard you end up pulling something, I was thrilled. It went along the lines of, “Hi Leyla, we really like your stuff. Can we send you somewhere in Europe, with a few of your friends, to experience one of our properties? We’d like you to explore the area, and also really make use of the kitchen. Where would you like to go?’. To which I said, yes you absolutely may. And Sicily it must be. The particularly good thing about the listings on HomeAway, compared to other holiday rental platforms or old school hotels, is you only ever get the whole property – kitchen, lounge, dining room, the lot. And you only share it with the people you choose to. My chosen squad for this trip? None other than some of my London Cheap Eats team members, the awesome Steph Chan, Ed Tan and Bisi Bajomo. 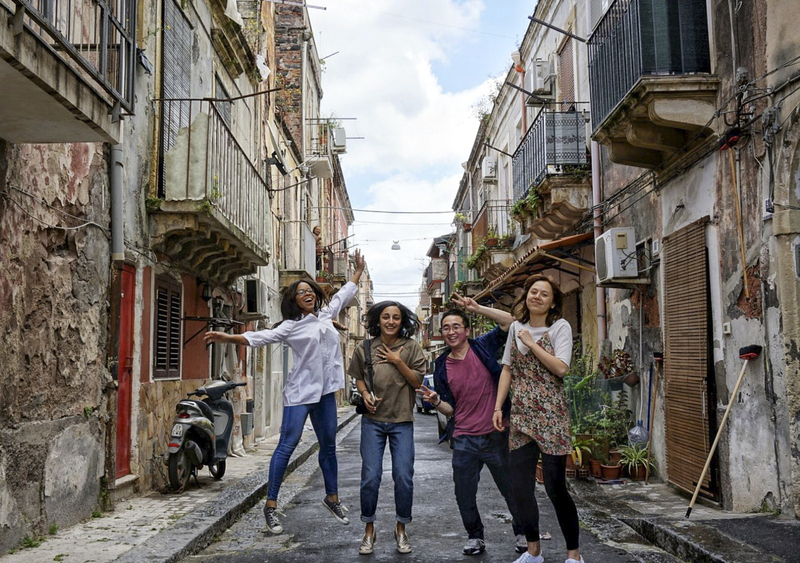 Because whilst I may not be able to pay the team for all the incredible work they do on London Cheap Eats, I can sure as hell get at least some of them to join me in Italy. 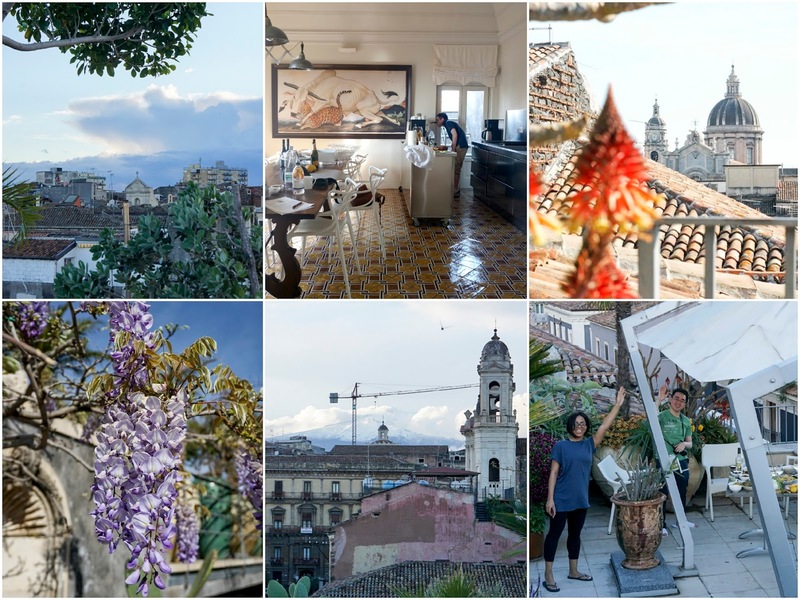 Allow me to first dedicate some space to the property in Catania that HomeAway booked for us. It’s called Palazzo Asmundo, and in case you’re wondering, yes, palazzo in Italian does mean palace. And palace is the exact correct word for this place. 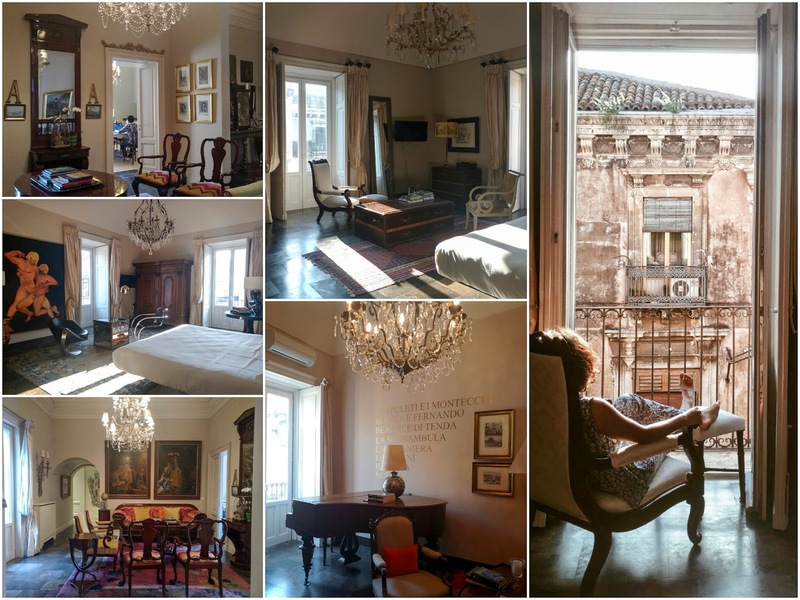 A high-end five bedroom, five bathroom, luxury penthouse palace, right in the heart of Catania, set over two floors, with a roof garden and terrace, two huge kitchens, full of art, and an outstanding view of the mighty Mount Etna. There were only four of us, which meant we could keep one bedroom untouched for ample Instagram photography purposes. Very important. If you check out the Part 1 video below, you’ll see a speeded up run through of the whole property, which will give you a real feel the place. Not to mention the place comes with a maid who services it for two hours each day, much like a hotel. So you come home to plush beds, pristine bathrooms, and more importantly, no washing up. Here’s the listing on HomeAway. The property can sleep up to five couples and is around £500 a night. If you can fill it, that works out as a mere £50 a night per person, for unrivalled grandeur. That is great value. 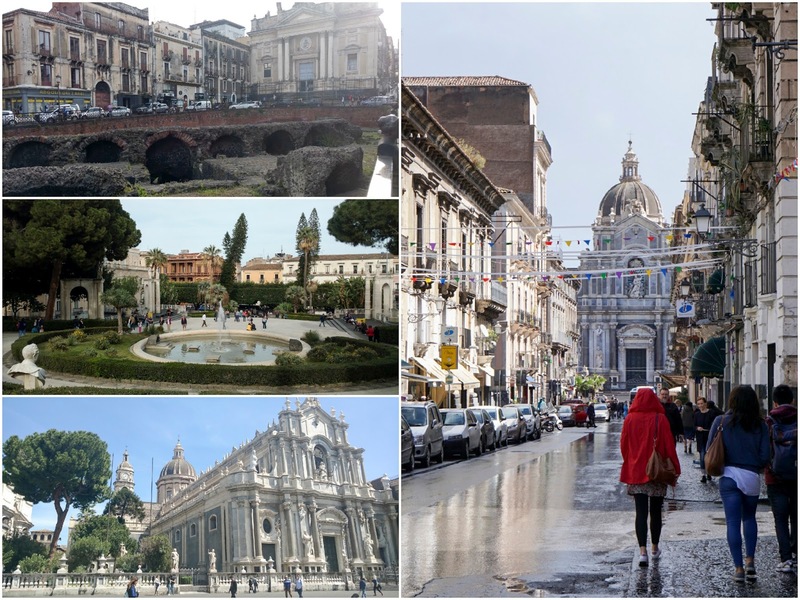 Catania isn’t a place with a huge amount of sightseeing to be done. But, it is exceedingly pretty, and full of great food. Which is perfect, if like me, your trips away are centred around where you’ll be having your meals, punctuated with gleefully aimless wandering and picture taking in between. Rather than, say, queuing up for hours to see big hitters, surrounded by endless hoards of tourists *shudders*. With that in mind, I’ve pulled together a loose guide on what you could get up to, and where you should eat it, if you were to find yourself in this gem of city for a couple of days. But before that, here’s the first of two videos I made from our long weekend there. It ends in some questionable dance moves, meaning it’s worth watching. I’d also love to know what you think of it in the comments at the end of this blog post, or under the video itself on YouTube. Part 2 will follow soon! 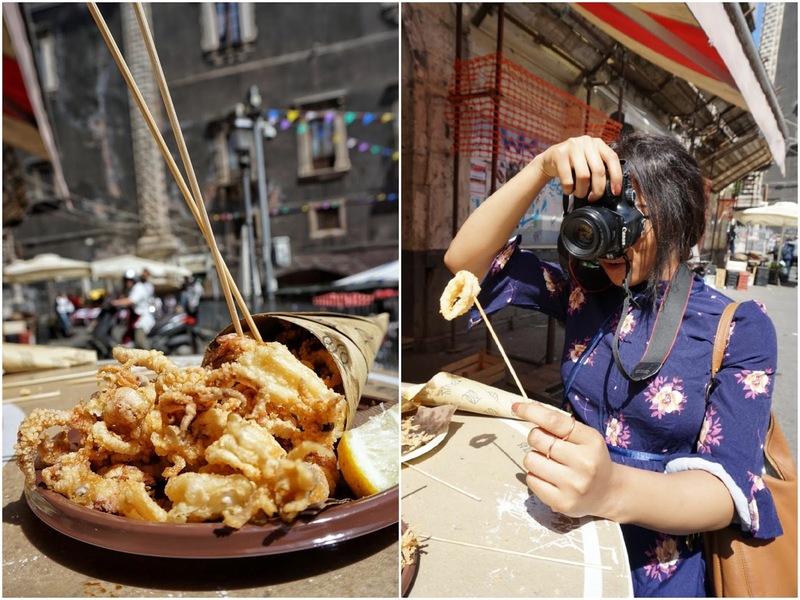 This is the one thing you really must visit in Catania before you leave, especially if you’re into your food and/or photography. Even British chef and fish fiend Rick Stein described Catania Fish Market as one of the best fish markets in Europe. Expect cheery bunting, majestic architecture, and incredible produce, both from land and from sea. 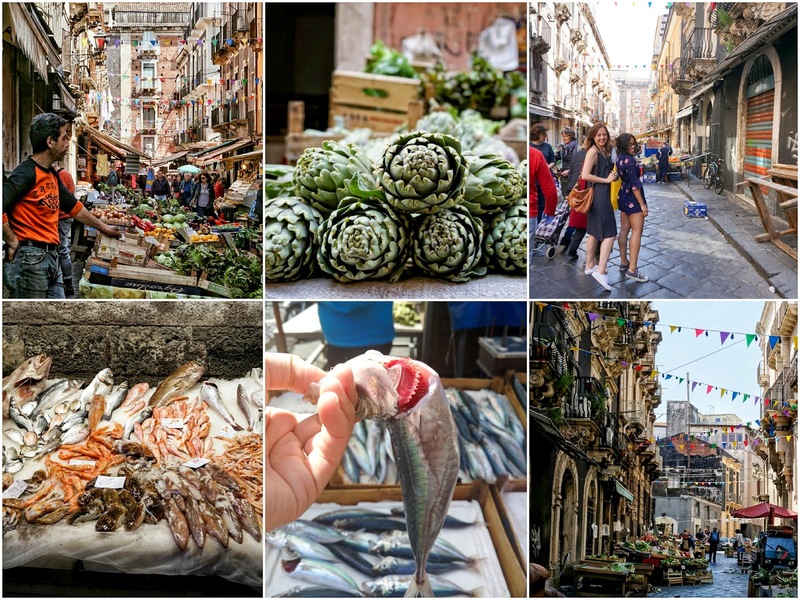 The fish come from Mazara del Vallo, Italy’s largest fishing port, in southwest Sicily, as well as smaller ports famed for specific things, like anchovies from Sciacca, and swordfish from Favignana. It’s a spectacle, everyone is exceedingly friendly, and it’s where we bought all the ingredients for the home cooked Sicilian lunch we made that Sunday (more on that below). The market as a whole is referred to as the Fish Market, but it does also sell plenty of fruit and veg. It’s open during the morning every day of the week, lasts a little longer on Saturdays, and is closed on Sundays. Located off Piazza Duomo near the cathedral and fountain (“dell’Amenano”), between Via Garibaldi and Via Pacini, extending along Via Gemelli Zappalà. 2) DO | Make use of local produce, and cook! One thing we certainly did quite a bit of in Catania, was unashamedly bask in the grandeur of our HomeAway property. Understandable. On the terrace we enjoyed all our breakfasts, a couple of great lunches, and marvelled at the fact we could spot red filaments of lava flows against a silhouetted Etna once the sun went down. During my eight month travel stint back in 2015, our accommodation was almost exclusively rental properties, and absolutely always with access to a kitchen. Being at the mercy of noisy neighbours and hotel breakfast buffet timings, has never been something that appeals to me. 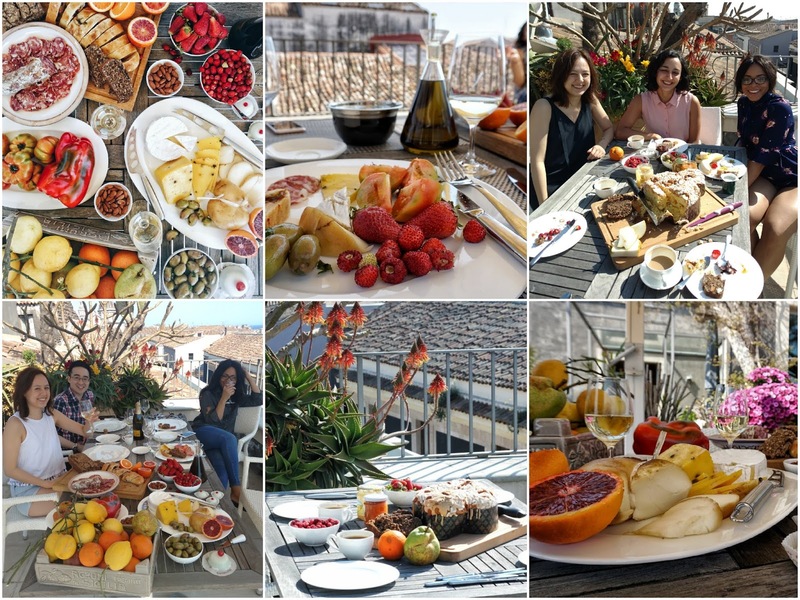 The freedom the HomeAway properties give to enjoy what you want at your own pace, with the people you want, in a space you don’t need to share, is pretty much my exact checklist when it comes to choosing where to stay while travelling. And then there’s cooking. Where I can, I always like to get into the spirit of local life by raiding a glorious market for fabulous produce, and rustling up a dish traditional to the area I’m staying. For Sunday lunch, we made two Sicilian staples: pasta con le sarde (sardine pasta) and caponata, a type of aubergine stew. 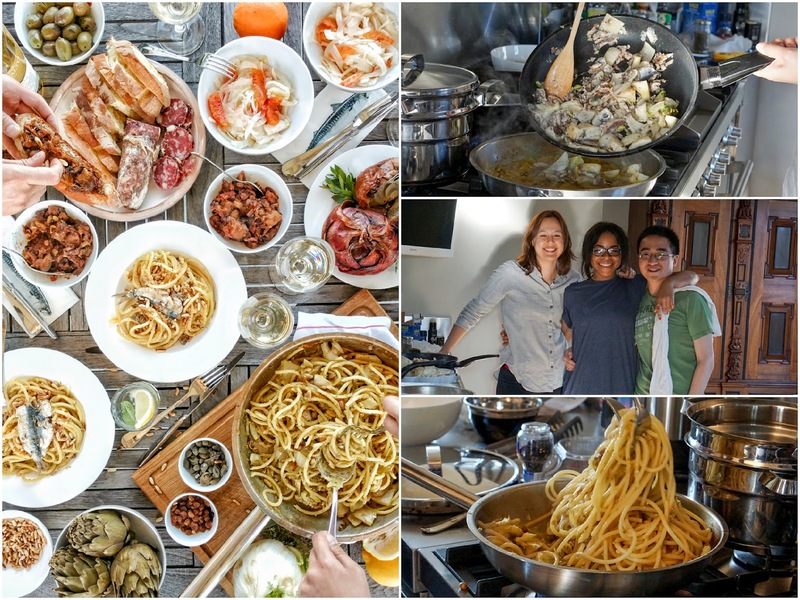 We furnished the meal with fennel and blood orange salad, steamed artichokes, huge roasted onions, cured meats, and bread. All the ingredients were bought from the market on Saturday, and we cooked up a storm on Sunday. It was a glorious feast; props to Ed, Bisi and Steph who did all the hard work while I was busy taking pictures and nibbling on olives. And endless thanks to lovely Guenter, the property owner, who stocked the place with so much booze for us, that we had no need to buy any alcohol. You’ll find this little hole in the wall in the midst of the fish market, on the site of an old butcher shop, with white tiles on the walls and meat hooks still on view to the public. These guys fry the best of Sicily’s seafood on the spot, wrapped in traditional straw paper cones, enjoyed amongst the heady mix of an Arab and Mediterranean market atmosphere. Full of flavour, really moreish, and very fresh – it’s easy to get carried away and keep ordering more cones. It also overlooks the spot where the smaller boats display their catches, with lots of tables loaded with all things fresh and silvery from the sea. This is the place our HomeAway host recommended, when I asked where locals eat for lunch. Wines by the glass, draught and bottled beer and an ample cocktail list are offered at this dreamy wine bar, with tables invitingly spread out across the tree-shaded flagstones of a quaint backstreet square. It doubles as a café in the morning, but really gets packed with locals from aperitivo time onward. Check the blackboard for a daily-changing selection of light meals; it was great to see local Sicilian dishes other than pasta. 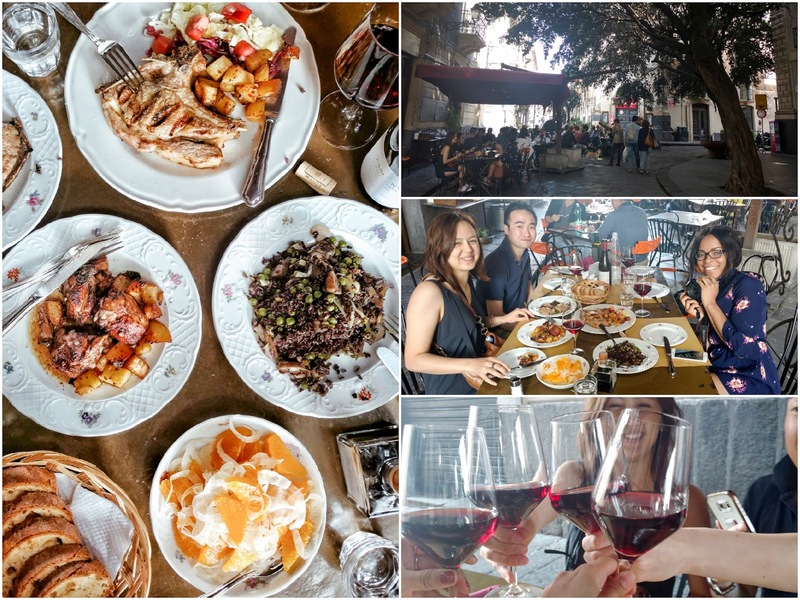 We enjoyed black rice with Jerusalem artichokes, peas and leeks; orange and fennel salad; roast chicken and potatoes; a whole veal rib; seriously great veal meatballs with lemon leaves; and a bottle of red from a vineyard on the slopes of Mount Etna. Do not miss eating here if you find yourself in Catania. And check out the video above for some behind the scenes from our meal at Razmataz. Obviously when anywhere in Italy, one must seek out gelato. Which is what I always do, with much gusto. But the hazlenut gelato from Savia in Catania, is hands down the best gelato I’ve ever had. 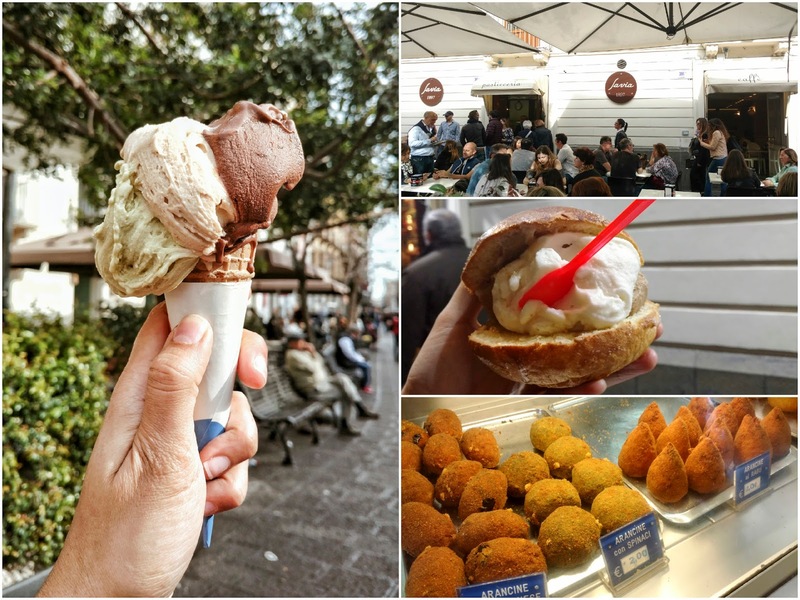 I even popped over to Bologna and Florence on a separate trip, straight after Sicily, and shovelled in as much gelato as I could find; nothing came close. And nothing has before. This was another recommendation from our HomeAway host, but it also came up in our pre-visit research. She did, however, specifically single out the hazelnut gelato as the best in Catania. I reckon it could well be the best on the island. Outstanding texture, intense hazelnut flavour, and even the thin wafer waffle cone was a total delight. 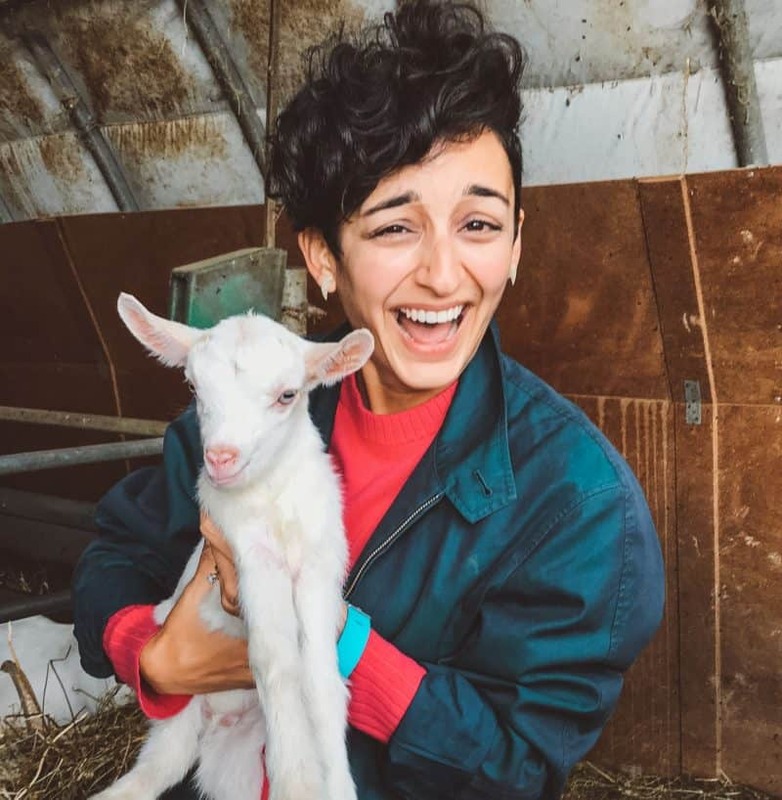 Savia is in fact a pasticceria – a pastry shop – that happens to sell gelato. In a brioche bun too, if you’re feeling fancy. Which means this is also the place to buy pastries, cakes, Italian biscuits, and also arancini, which was very tasty. Check out more of our verdict on Savia in the video further up. This is a very casual, friendly, brightly-lit spot, regarded by locals as the home of homemade pasta in Catania. Don’t come here for a romantic dinner by candlelight, but do some for a range of great value pasta dishes. 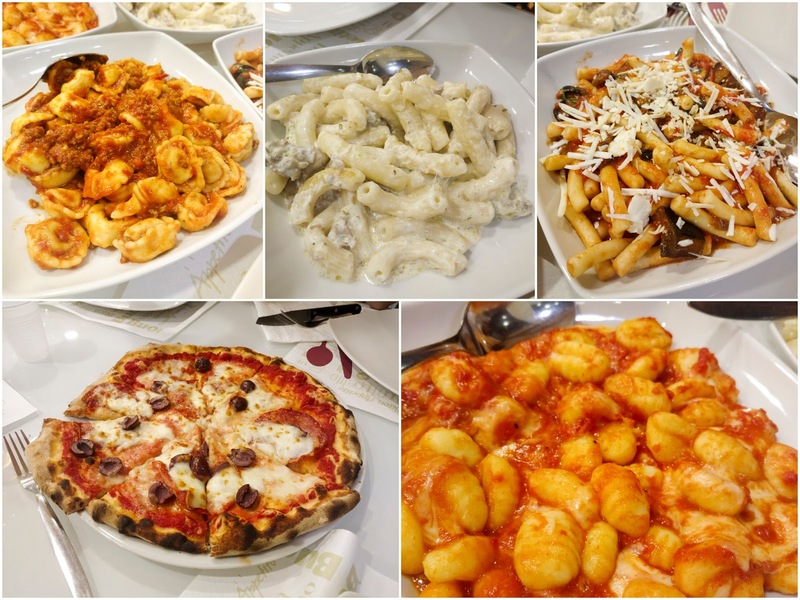 Expect tasty Sicilian classics like pasta alla norma (pasta with aubergine), pasta with pistacho sausage and a cream sauce, gnocchi with buffaloo mozzarella, and the rest. They also serve pizza, which we started with, and totally didn’t need. Along with four plates of pasta, and a large bottle of beer, the bill didn’t come to much more than 20 Euros for four of us. Head to the Piazza del Duomo at the heart of the city, for a splendid circuit of Sicilian Baroque masterpieces. The square is a major meeting point for both people and the city’s principle streets, which converge at the piazza. Which makes it difficult to get too lost. It’s also worth strolling through in the evening, when the restaurants are busy and the cathedral is lit. The modest ruins of a Roman theatre, below street level in Piazza Stesicoro, discovered in the early twentieth century, are certainly worth a look. You can do so from street level, admiring it from over the fence, or pay to descend and have a wander through the ruins themselves. If you explore heading south from the city centre, you’ll come across neighbourhoods that I took to be where the majority of Catanians actually live (as opposed to the city centre). 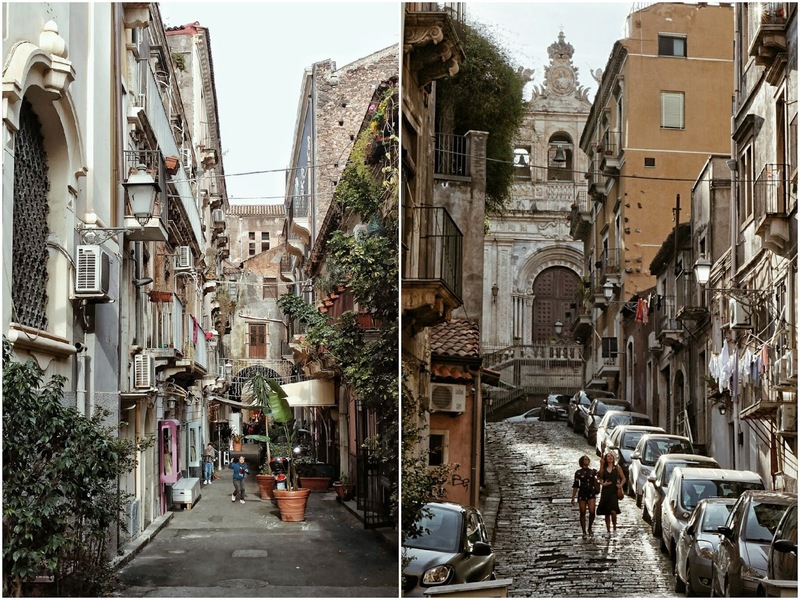 It has a rugged beauty; what you might expect southern Italy to look like in your mind’s eye. There are a lot of opportunities for great photos here, and we spent a good half hour getting a group shot of us jumping around like loons, thanks to a spider tripod Ed brought along (this blog post’s main picture was the winning shot, mostly because of Bisi’s mesmerising levitation skills). On our wanderings south, we also came across the only real street food we found in Catania. In both cases, men were barbecuing meat out on the pavement. Punters were buying it straight up, only sometimes between some bread. We had some sausage, and it was really very good indeed. More on that in the part two video coming soon. Instead, we strategically kept our Saturday night within stumbling distance from the palazzo. We started off with a few Negronis at Gammazita, an urban space and open-air library devoted to cultural sharing, which also has a DJ playing some banging tunes in the evening. And then we ended up at Mingo Lounge Bar, quite literally around the corner from where we were staying. All I really remember from there is that we had the whole place to ourselves, and made damn good use of that dance floor. Plenty of evidence in the video further up. One thing we didn’t get a chance to do, which I would absolutely prioritise on a return visit, is head out of the city, especially closer to the volcano. 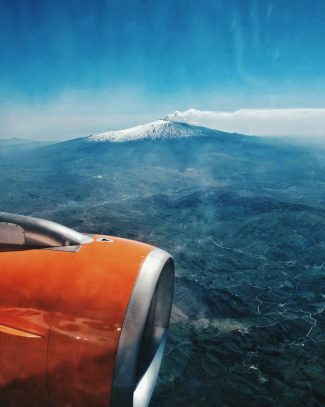 The slopes of Etna are home to wineries, wine festivals, restaurants and hotels. And places like Taormina, about an hour and a half drive up the coast, are meant to be quite spectacular. What really appeals to me is trekking for a few hours along a nature trail – of which Mount Etna has many – and soaking up those glorious views. This website seemed quite useful. Note: This is a sponsored post in partnership with HomeAway. It’s been great fun and a pleasure to collaborate on – thanks very much for the opportunity. All views remain my own, as always. Another note: the imagery used in this post is a combination of mine, Ed’s, Bisi’s and Steph’s. Thanks for the great photoraphy skills guys! Next Post Is EatWith Home To The Best Local Food Events… In The World? 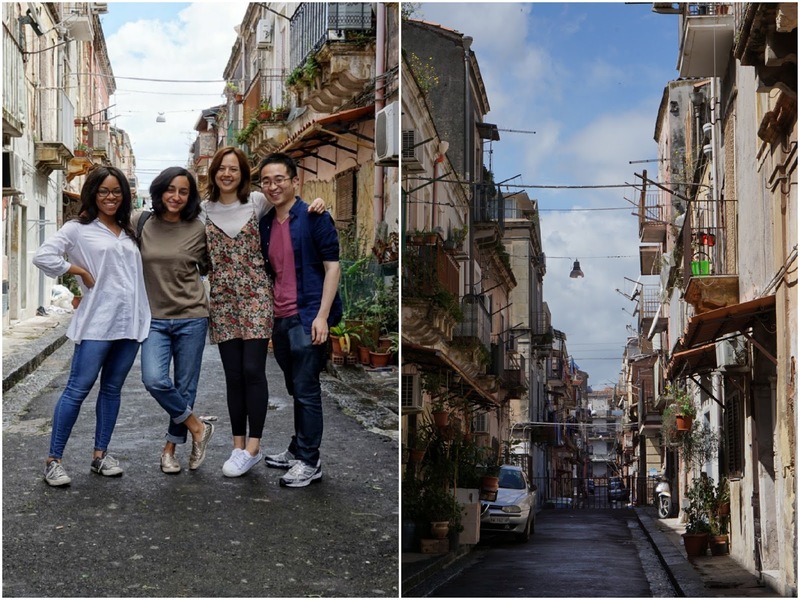 Catania looks like my kind of place, and I’m determined to get to Sicily this year. In fact I might just have to take some girlfriends for a food trip. Thanks for the tips!